Washington (CNN) President Donald Trump has asked for a military parade and the Pentagon is reviewing potential dates, Pentagon spokesman Charlie Summers said Tuesday. In response to the news, White House press secretary Sarah Sanders said in a statement that Trump had asked the Defense Department to “explore” the idea. “President Trump is incredibly supportive of America’s great servicemembers who risk their lives every day to keep our country safe. He has asked the Department of Defense to explore a celebration at which all Americans can show their appreciation,” Sanders said. Trump’s meeting with senior military leaders last month included Vice President Mike Pence, White House chief of staff John Kelly, Defense Secretary James Mattis and Chairman of the Joint Chiefs Gen. Joseph Dunford. 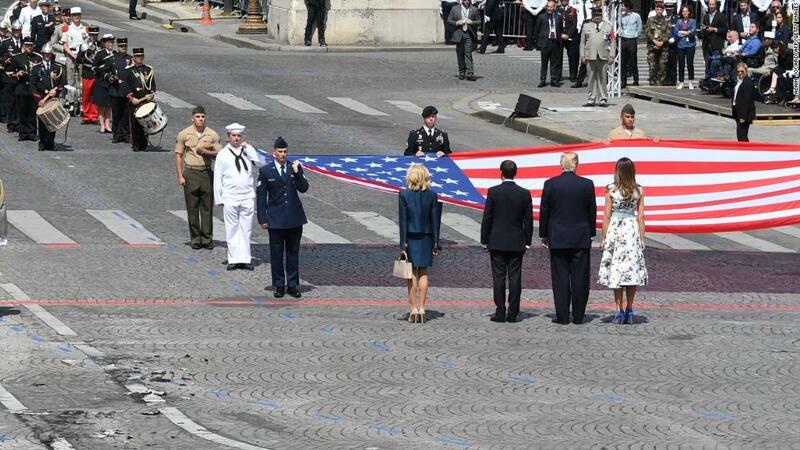 Trump was French President Emmanuel Macron’s guest on Bastille Day last year, and later called the French military parade he witnessed “one of the greatest parades” he had ever seen. Trump’s call for a military parade might be hitting a few snags. The Post said shipping tanks and military hardware into Washington could cost millions of dollars, and that military officials said they were unsure how to pay for it. The news of Trump’s call for a military parade in the US comes as North Korea plans to show off dozens of long-range missiles during a February 8 parade, sources with deep knowledge of North Korea’s intentions told CNN last week.